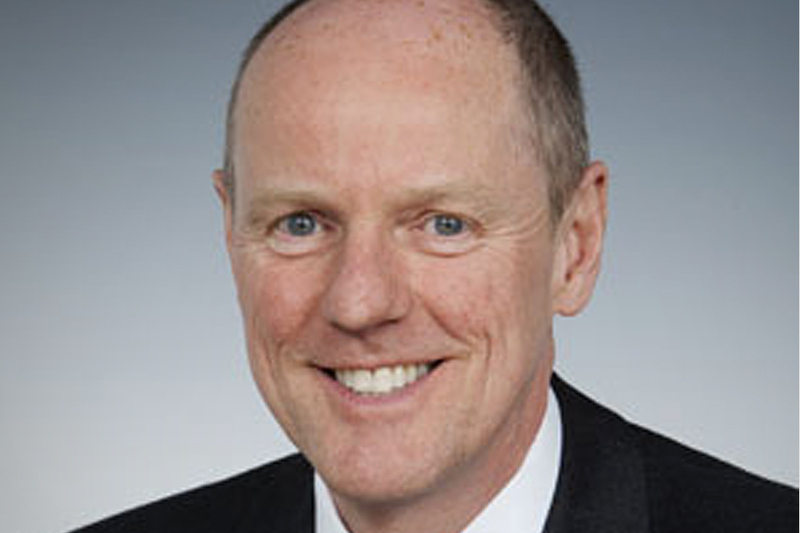 Schools Minister Nick Gibb speaks at the Advisory Committee on Mathematics Education (ACME) annual conference. Thank you Stephen. It is a great pleasure to be here and have the opportunity to discuss our plans for raising standards of mathematics in schools. But before I begin, I would like to say a few words of thanks. Thanks to a great deal of hard work by many in this room and beyond, more young people are taking maths and further maths at A Level than at any other point over the last decade. Last year, 75,547 students took the subject at A Level compared to just 44,156 in 2002, a 58 per cent increase. On top of this, far more state schools are now entering students for further maths at A Level - a pre-requisite for entry onto maths’ degrees at many of our top universities. In 2004, less than 40 per cent of schools had students taking further maths, last year (with the support of the MEI and Further Maths Support Programme) the proportion had grown to 63 per cent. These are positive steps in the right direction so thank you to everyone here, and also to Stephen and his team for the plans they are presenting to today’s conference on increasing participation in maths. As Stephen knows, the government is committed to ensuring all young people in this country have a thorough grounding in maths by the age of 19. We believe that mathematics is an essential part of every child’s educational armoury. As fundamental to our day-to-day lives as the ability to read, maths allows us to navigate the world by calculating uncertainties and predicting outcomes; spotting patterns and irregularities; by making sense of the calculations of others. It is also to mathematics that we look first to provide opportunities in study and employment. It is the skeleton-key subject: opening doors to other disciplines and jobs, from archaeology to architecture, engineering to economics, genetics to geology. I owe my own career in accountancy to an appreciation and interest in mathematics. But we don’t see the study of maths in the narrow terms in which it is sometimes presented: a subject that we take to simply gain employment or pass an exam. There is - as we all know - great beauty, fascination and depth to maths. The reoccurrence of patterns in nature. The symmetry of great music and art. The inter-related numbers that together govern the shape, size and texture of the universe. Every single young person in this country should have the opportunity to appreciate and comprehend these aesthetics. To understand how one child’s obsession with mathematics and the sequences he saw in flower petals, could one day lead to the creation of a machine that would help save Western Europe from fascism. To understand how another man’s contempt for abstract mathematics and love of algebra could inspire him to write Alice’s Adventures in Wonderland, one of the world’s most imaginative children’s books. This is the true importance, breadth and scope of mathematics - yet over the years far too few children have been inspired to make sense of these connections, to fathom the links between maths and the great artistic and scientific movements. Last week, the Sutton Trust revealed that this country is now 26th out of 34 leading nations for the number of young people achieving top grades in maths. Just 1.7 per cent of English 15-year-olds achieved the highest mark, compared with 7.8 per cent in Switzerland, the best performing European country, and 26.6 per cent in Shanghai. And in state comprehensive schools that figure is close to zero. Our 15-year-olds’ maths skills are more than two whole academic years behind 15-year-olds in Shanghai. In the last decade, we have dropped down the international league tables: from 4th to 16th place in science; and from 8th to 28th in maths. Earlier this month, academics at King’s College showed us that the number of young people with a poor grasp of basic calculation has more than doubled over the last 30 years. 15 per cent of pupils today failed to achieve the most basic standards - showing they can successfully solve problems involving doubling, trebling and halving - compared with just seven per cent in the mid-70s. This lack of confidence with numbers is now having a profound impact on our society and our economy. In particular, we know many employers are deeply concerned at the poor level of maths amongst many school leavers. According to the CBI, employer dissatisfaction over young people’s maths skills deepened by nine percentage points between 2008 and 2011. 32 per cent of employers polled by CBI would like, above all else, to see improvements in school leavers’ ability to do basic mental arithmetic, including multiplication, percentages and measures. Most worrying of all perhaps, according to last year’s Skills for Life Survey, up to 17 million adults in this country have only the most basic skills in mathematics: that is to say they have the levels expected of 11-year-olds. These kind of failures ask all of us to take a long, hard look at the system in which they occur, and keep occurring. Why do only 58 per cent of children on free school meals achieve the expected levels in English and maths, compared to 78 per cent of all other pupils? Why do so many pupils who secure top marks in maths at primary school fail to secure the highest grades at GCSE: last year, more than 37,000 young people fell into this category? These are the questions the government is confronting as a matter of priority. We want to make it clear that mathematics is for all. We want to challenge the very brightest students to achieve to their full potential. We want to inspire more children to follow in the footsteps of the great mathematicians like Liebniz, Turing, Newton and Riemann. To achieve this, we are working to an overarching objective of providing every child in the country with access to the very highest standard of education: irrespective of background. And that’s why all our reforms over the last two years have been, and will continue to be guided by three principal objectives. First, to close the attainment gap between those from poorer and wealthier backgrounds. Second, to ensure our education system can compete with the best in the world. And third, to trust the professionalism of teachers and raise the quality of teaching. Ambition, autonomy and opportunity. These are the hallmarks of every high performing education system in the world - from Singapore to Finland, Shanghai to Alberta: all areas where teachers are respected and the highest educational attainment is expected of children. This is why we have been taking urgent action to raise standards right across the state education system by cutting bureaucracy, supporting the very best teaching and giving heads much greater say over how they run their schools. These are vital reforms and they will be of fundamental importance in raising standards of maths amongst pupils at our primary schools - particularly those from poorer backgrounds who have been let down the most over the years. At key stage two last year, just 67 per cent of pupils eligible for free school meals achieved the expected level in mathematics compared to 83 per cent of all other pupils. The percentage of pupils with special educational needs who achieved the expected levels rose slightly, but still stands at only 38 per cent. The highest performing education systems set clear, structured approaches to the teaching of maths, with unambiguous expectations and intelligent accountability. We are determined to establish the same high standards to ensure that all children, especially those from poorer backgrounds, have access to the essential knowledge they need to compete with their peers around the world. In June, we published our draft programme of study for mathematics: outlining our intention to establish the very highest expectations of primary schools and pupils. We are also improving the structure and clarity of the maths curriculum in primary schools: setting out clear aims and giving teachers greater autonomy over how they teach. On top of this, we are removing level descriptors to provide greater transparency and simplicity - so that teachers can focus on what to teach, rather than labelling pupils with a level every week, or term. As many here will already know, the draft programme aims to ensure pupils are fluent in the fundamentals. Asking children to select and use appropriate written algorithms and to become fluent in mental arithmetic, underpinned by sound mathematical concepts: whilst also aiming to develop their competency in reasoning and problem solving. More specifically, it responds to the concerns of teachers and employers by setting higher expectations of children to perform more challenging calculations with fractions, decimals, percentages and larger numbers. There will, inevitably, be healthy differences of opinion in the mathematics’ community over what should, and shouldn’t be covered by teachers at primary school. As it stands, the draft programme is very demanding but no more demanding than the curriculum in some high-performing countries. There is a focus on issues such as multiplication tables, long multiplication, long division and fractions. Last month, the Carnegie Mellon University in the US published research by Robert Siegler that correlated fifth grade pupils’ proficiency in long division, and understanding of fractions, with improved high school attainment in algebra and overall achievement in maths, even after controlling for pupil IQ, parents’ education and income. I know ACME are kindly taking a lead role in drawing together the views of many here on the draft programme of study, and are already in dialogue with the Department about what more we can do to improve it over the summer. We want to have the broadest possible conversation on both direction and detail, which is why there will be a statutory consultation on the draft programme of study later this year. When the time comes, I ask colleagues to collect their thoughts and feed back to ACME so that we can ensure everyone’s views are heard. As I’m sure Stephen knows, we are committed to securing improvements throughout the sector at both primary and secondary level. And I am enormously grateful to ACME, in particular, for its thoughtful, positive engagement with government over the last two years in promoting maths for all. Today’s paper on Increasing provision and participation in post 16 mathematics is another very welcome, very important step forward but there are still significant challenges ahead of us. It is no secret that this country has an exceptionally low rate of participation in mathematics beyond the age of 16. Fewer than 20 per cent of pupils go on to study maths in any form. And the Nuffield Foundation’s Survey, in 2010, revealed that we have the lowest level of participation in any of the 24 developed countries included in its survey: far below Estonia, the Czech Republic, Korea and Finland, which all achieve rates of close to 100 per cent. On top of this, around 50 per cent of young people in this country enter post 16 education having failed to achieve an A* to C grade in GCSE maths - a basic requirement for many employers. Last week, we took an important step towards tackling these issues with the announcement of important changes to funding and post 16 education provision. Most importantly, we have accepted Professor Wolf’s recommendation that the study of maths should be a requirement for all young people, up to the age of 19, who have not achieved an A* to C grade at GCSE. These are vital changes, squarely aimed at inspiring more young people to pursue maths, and to pursue it to a higher level. The other, directly related area where we are looking to secure improvement is through GCSE and A level reform. As the Secretary of State said earlier this month, the current GCSE exam system, in particular, needs reform with a welter of evidence to show exam boards are competing against one another in a way that lowers standards over time. We are determined to tackle these issues head on by creating a world class system of qualifications that gives every young person the opportunity to acquire rigorous, robust qualifications at the age of 16. We are also taking action at A Level, where similarly strong evidence has been emerging of grade inflation across subjects. Professor Robert Coe, the head of Durham University’s exam evaluation team, has reported: ‘candidates with the same level of ability being awarded A Levels about a tenth of a grade higher every year since 1988.’ This means today’s students are typically achieving nearly two and a half grades higher than their peers 24 years ago. In an effort to distinguish between these candidates, more and more universities are resorting to using their own tests. 50 universities used admissions tests for their 2009 cohort of students - 75 in 2012. In total, a quarter of all universities now require admission tests for specific courses on top of A Level requirements, including Cambridge, Imperial and Oxford. To help restore confidence in standards, Ofqual is running a consultation on A Level reform, which ends in September. In particular, it is looking to strengthen the involvement of universities in A Level development and subject content, so that the style of questions and skills required can be determined by academics: with involvement from exam boards and learned bodies like the Royal Society and ACME. Finally, I would like to say a few words about the importance of teaching in mathematics. As one might expect, international research shows, time and again, that teacher quality is the single most important factor in pupil progress. Studies in the United States have shown that a pupil taught for three consecutive years by a top 10 per cent performing teacher, can make as much as two years more progress than a pupil taught for the same period by a teacher in the bottom 10 per cent of performance. Ofsted reported in May this year that the quality of maths teaching in this country is frequently outstanding, with staff placing a strong emphasis on pupils using and applying their arithmetic skills to solve a wide range of problems. Many schools specifically recognise and promote the importance of subject knowledge, with an emphasis placed on developing the subject expertise of teachers. But Ofsted has highlighted significant variability in performance, with examples of poor maths teaching mixed in with the very best. We are determined to ensure all teachers have the freedom and flexibility they need to perform to the very highest professional levels. But we also need to make sure we attract more able people into the profession: particularly in subjects like mathematics, which has the greatest shortage of teachers for any subject. One fifth of all vacancies in teaching are maths vacancies. For this reason, we have made secondary mathematics a priority for recruitment into initial teacher training. Candidates with a first class degree in maths are now eligible for the very highest level of bursary: £20,000 to support them through their training. At primary level, the Teaching Agency has also set aside more places for trainees on its Subject Specialist Primary ITT programmes: providing additional training for those teachers whose sole, or main job will be to teach maths in primary school. These are important changes, designed to bring about a step change in our approach to maths education in this country. The collapse of the global economy has highlighted the deep importance of using and understanding probability and statistics. Technology is creating more demand for mathematicians in the workforce than ever before. The proliferation of information around us is demanding greater sophistication in our ability to understand numbers in everything we do: from taking out a loan to making sense of the news, marketing and advertising. So, let me thank ACME once again for their tireless, inspirational work in promoting maths to so many thousands of young people in this country. I look forward to working with Stephen and his team in the months, and years ahead, in promoting this most aesthetic of all the subjects.